Take the guesswork out of picking the best plants for your Arizona or New Mexico garden. In this "Getting Started Garden Guide," Mary Irish and Judith Phillips help you know which plants are best for this region of the country. They offer 168 plant recommendations representing every plant type, along with design tips for adding color and beauty to your garden. There's also a large color photograph of each recommended plant, making it easy to identify when shopping. Now, get started! Renowned Southwest gardening experts Mary Irish and Judith Phillips share their firsthand experiences with gardening in Arizona and New Mexico. 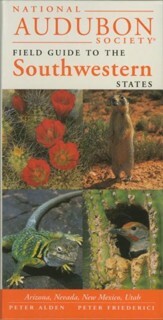 The southwestern United States is home to some of the most beautiful landscapes and formations in the entire country. Alongside its famed attractions - the Grand Canyon, Rio Grande Gorge, and Havasu Falls among them - the region caters to a vast array of unique plant life, specially adapted to thrive in warm, dry climates as well as at high elevations. In Arizona & New Mexico Getting Started Garden Guide, authors and local gardening legends Mary Irish and Judith Phillips feature region-specific advice on planting, growing, and caring for more than 150 of the best-performing and most desirable plants across Arizona and New Mexico. Flowers and grasses, desert perennials and trees, shrubs and vines . 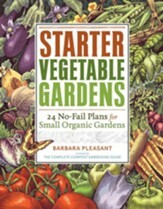 . . this plant-by-plant guide includes useful information for the novice and the experienced gardener alike, paying special attention to low-water-use species that enjoy the specific climates of these two states. From the spectacular blooms of the claret-cup hedgehog to the puffballs of the Baja fairy duster, each plant is featured with full-color photography, detailed planting and care instructions, and recommendations for plants that can peacefully coexist with them. 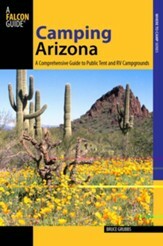 With an intuitive layout, pronunciation guides, a custom icon key for readily accessible plant facts, and color-coded USDA zone maps, Arizona & New Mexico Getting Started Garden Guide is the simplest, most foolproof plant manual for gardening everywhere from Carlsbad to Kingman. Judith Phillips is a landscape designer, garden writer, and teacher with 35 years' experience designing gardens in the high desert. She loves working with native and xeric plants because they are beautiful, conserve water, and support wildlife. Her design projects have included more than a thousand home gardens in New Mexico, Colorado, and Arizona, as well as a healing garden at a local hospital and habitat gardens at two national wildlife refuges. 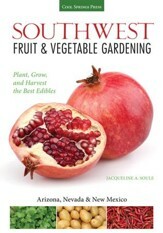 In addition to writing two editions of New Mexico Gardener's Guide and collaborating on Water-Wise Plants for the Southwest for Cool Springs Press, Phillips is the author of Southwestern Landscaping with Native Plants, Revised Edition; Natural by Design; and Plants for Natural Gardens. She has written numerous magazine articles, water conservation essays, and educational brochures. Phillips teaches an arid-adapted plants class in the landscape architecture master's degree program at the University of New Mexico. Mary Irish is a garden writer, lecturer and educator. She lived and worked in Arizona for 25 years before returning in 2012 to her native Texas, where she currently manages the plant sales program at the San Antonio Botanical Garden. She is a frequent contributor to national and regional publications, including American Gardener and Nursery Management, and has written several previous regional gardening guides for Cool Springs Press. She was also a contributor to Cool Springs' Water-Wise Plants for the Southwest. She and her husband Gary live in Castroville, Texas, a historic town in the South Texas plains. 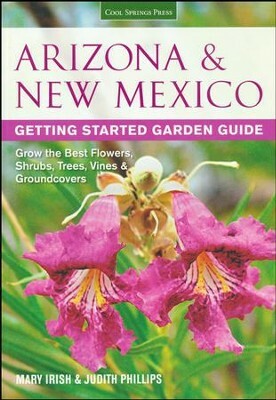 I'm the author/artist and I want to review Arizona & New Mexico Getting Started Garden Guide.